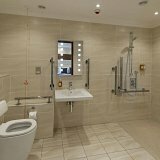 Guests with disabilities or limited mobility can enjoy all the luxury and comfort of The Devon Hotel, with specially designed, modern accommodation. You will appreciate the extra wide doorways and the fabulous wet room, which is wheelchair accessible. You can park close to your room, where every aspect, right through to the electrical switches, has been planned with our disabled guests in mind. Please speak to our friendly team about any special requirements you may have for your stay. 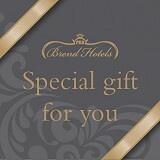 Devon Hotel vouchers, our special gift for you. We currently hold four stars on Trip Advisor for The Devon Hotel and Brend Hotels are holders of the accolade for AA Hotel Group of the Year 2015-16.